Orson Welles first feature film – which he directed, produced, and co-wrote, as well as playing the title role – proved to be his most important and influential work. It's a monumental achievement for Orson Welles, to be sure. A masterpiece of its era! Absolutely!! And it's undeniably one of the most inspirational movies ever made – at least to a certain generation of filmmakers (folks like Martin Scorsese, George Lucas and Steven Spielberg in particular). The film itself details an ambitious figure, Charles Foster Kane (loosely based on William Randolph Hearst), a tyrannical millionaire, a newspaper man and politician whose life is constantly derailed by his own ambition – his own desire to love, and be loved. It's a dark, brooding tale – much darker than the standard films of its era. And its nonlinear narrative is complex, layered and filled with mystery. Aging newspaper magnate Charles Foster Kane (Orson Welles) dies in his sprawling Florida estate after uttering a single, enigmatic final word – "Rosebud" – and newsreel producer Rawlston (Phil Van Zandt) sends reporter Jerry Thompson (William Alland) out with the assignment of uncovering the meaning behind the great man's dying thought. 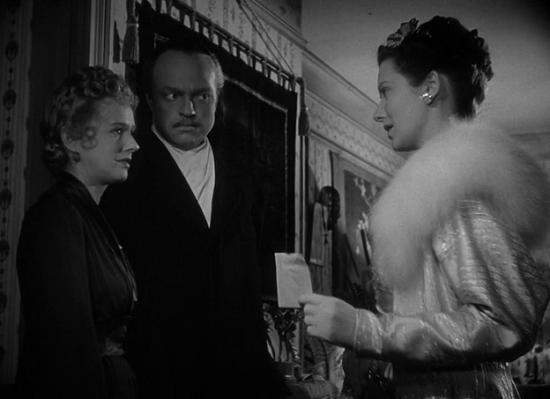 As Thompson interviews Kane's friends, family, and associates, we learn the facts of Kane's eventful and ultimately tragic life: his abandonment by his parents (Agnes Moorehead and Harry Shannon) after he becomes the heir to a silver mine; his angry conflicts with his guardian, master financier Walter Parks Thatcher (George Coulouris); his impulsive decision that "it would be fun to run a newspaper" with the help of school chum Jedediah Leland (Joseph Cotten) and loyal assistant Mr. Bernstein (Everett Sloane); his rise from scandal sheet publisher to the owner of America's largest and most influential newspaper chain; his marriage to socially prominent Emily Norton (Ruth Warrick), whose uncle is the President of the United States; Kane's ambitious bid for public office, which is dashed along with his marriage when his opponent, corrupt political boss Jim Gettys (Ray Collins), reveals that Kane is having an affair with aspiring vocalist Susan Alexander (Dorothy Comingore); Kane's vain attempts to promote second wife Alexander as an opera star; and his final, self-imposed exile to a massive and never-completed pleasure palace called Xanadu. Structured largely through the recollections of supporting characters, including Kane's best friend (the great Joseph Cotton) and the showgirl who inadvertently bungled his political aspirations (Dorothy Comingore), Kane's story is as much about locating the psychological bruises that shape public figures as it is about the essential enigmas of said figures. The pioneering of gossip journalism and the social ills proliferated by that advent are here just as interesting and important as the building of Xanadu and the collecting of all those exotic treasures. Following the investigative pursuits of reporter Jerry Thompson (William Alland), we see Kane as the adopted son of a steel-hearted tycoon (George Coulouris), but miss that crucial hint to the elusive "Rosebud," which Welles, in a beautiful stroke, reveals only long enough for it to be destroyed and lost forever. 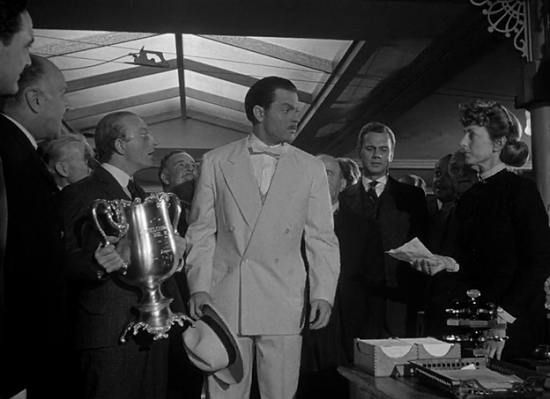 Citizen Kane is a powerhouse drama, with a fast, engaging pace (for the era), terrific set design, astonishing lighting, jaw dropping camerawork, great performances, breathtaking visual effects and a knockout script. "Before Kane, nobody in Hollywood knew how to set music properly in movies," wrote filmmaker François Truffaut in a 1967 essay. "Kane was the first, in fact the only, great film that uses radio techniques." Truffaut says, "Behind each scene, there is a resonance which gives it its color: the rain on the windows of the cabaret, "El Rancho," when the investigator goes to visit the down-and-out female singer who can only "work" Atlantic City; the echoes in the marble-lined Thatcher library; the overlapping voices whenever there are several characters. A lot of filmmakers know enough to follow Auguste Renoir's advice to fill the eyes with images at all costs, but only Orson Welles understood that the sound track had to be filled in the same way. 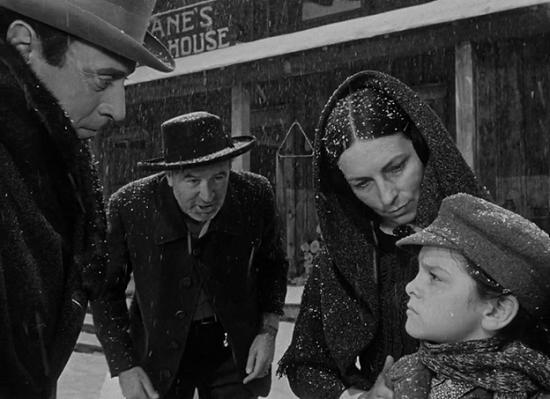 "And while the film is 70 years old this year, it's still startlingly relevant." In a 1941 review, the great Argentinean story writer Jorge Luis Borges called Citizen Kane a "metaphysical detective story", in that "... [its] subject (both psychological and allegorical) is the investigation of a man's inner self, through the works he has wrought, the words he has spoken, the many lives he has ruined..." Borges noted that "Overwhelmingly, endlessly, Orson Welles shows fragments of the life of the man, Charles Foster Kane, and invites us to combine them and reconstruct him." As well, "Forms of multiplicity and incongruity abound in the film: the first scenes record the treasures amassed by Kane; in one of the last, a poor woman, luxuriant and suffering, plays with an enormous jigsaw puzzle on the floor of a palace that is also a museum." Borges points out, "At the end we realize that the fragments are not governed by a secret unity: the detested Charles Foster Kane is a simulacrum, a chaos of appearances." 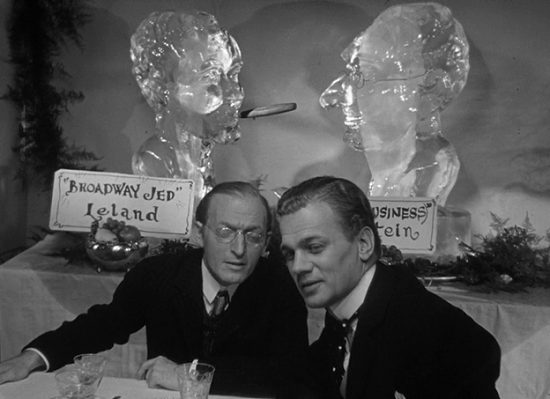 While Citizen Kane was a film full of distinguished debuts, the only Academy Award it received was for Best Original Screenplay, for which Welles shared credit with veteran screenwriter Herman Mankiewicz. 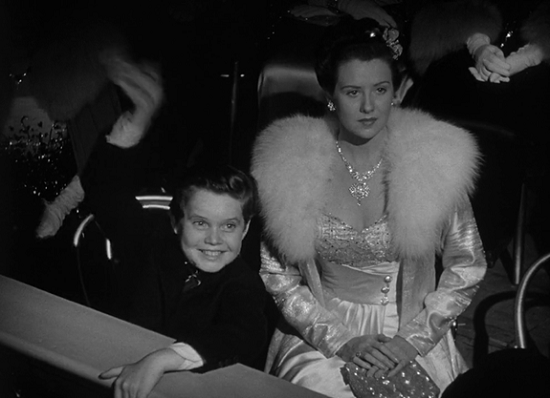 Despite Welles’ use of traditional and accepted cinematic elements, Citizen Kane’s immortal success does not result from the film’s classic style. 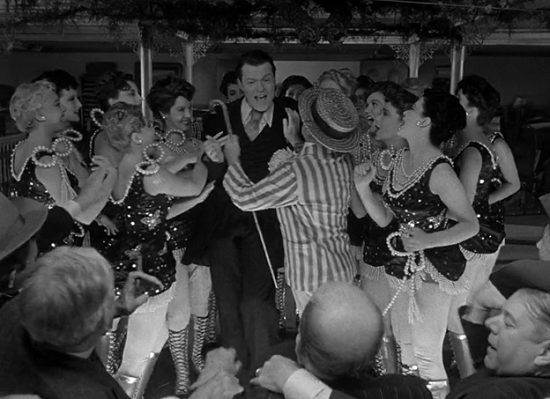 Instead, Welles’ complex plot construction, unique narrative structure, powerful theme, and innovative cinematography contribute to its widespread appeal. Thus, when viewers of today slowly put together the flashbacks to uncover Kane’s true identity, they still experience the magic of Orson Welles’ timeless masterpiece.